In the current age of low interest rates you aren’t supposed to be able to get a decent yield from a blue chip stock. With a $0.94 per quarter dividend each Shell (RDS.A: NYSE) American Depositary Receipt today yields almost seven percent. That is a very good yield. Maybe a little too good. Shell’s current yield is almost three and a half times the yield on the S&P 500. 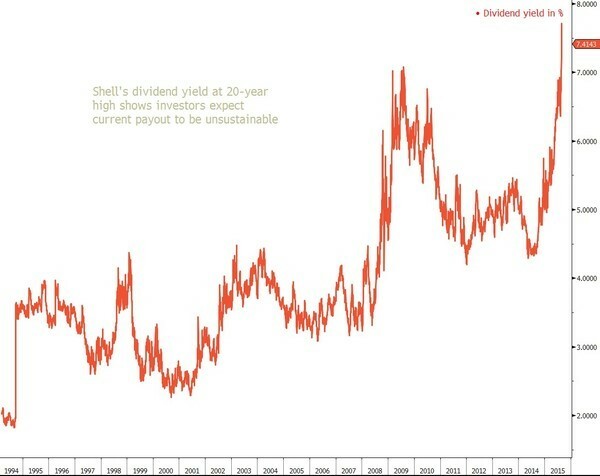 That high a yield says the majority of investors don’t think that Shell’s current dividend is sustainable. History agrees; Shell hasn’t sported this kind of yield in decades. Maybe the doubting investment community should give the company some credit; after all, Shell hasn’t had a single dividend cut since 1945. That is more than 70 years ago. Since then the company has raised its dividend many times over and has navigated through a cold war, single digit oil prices in both the 1980s and 1990s and almost every other scenario that you can imagine. Seventy years of delivering should buy a little faith with investors shouldn’t it? Perhaps in this case the market is wrong. The Oil Price Collapses – But Free Cash Flow Rises? Do you remember in the movie Rocky 3 when Mr. T’s character–the up-and-coming fighter Clubber Lang gets a title shot and gives Rocky (the champ) a serious beating? Rocky was the longstanding champ who had lost his drive. Rocky was complacent while Clubber Lang was hungry. Rocky needed a wake-up call from Clubber to help him get focused and realize his full potential. In the rematch the story was very different. Rocky teamed up with his former rival Apollo Creed who got Rocky into the best shape of his life so that he could win back his title. The wake-up call that Rocky received reminds me a bit of Shell today. From 2010 through mid-2014 the company had things pretty easy with $90 per barrel plus oil prices. Those high oil prices took away the motivation needed for Shell to squeeze the most out of every dollar spent. Budgets became bloated as everyone believed that a new era of high oil prices had arrived. The oil crash in 2014–that forgot to end–has been Shell’s version of Clubber Lang. Investors doubting Shell’s ability to maintain its dividend might be surprised at what the company believes it can accomplish over the next few years. 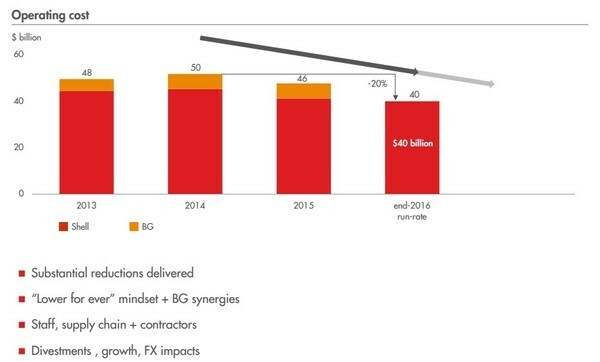 The slide below comes from Shell’s latest corporate presentation. It shows what the company accomplished from 2013-2015 with $90 oil and what it plans to accomplish from 2019-2021 at $60 oil. The line that I want you to focus in on is the bottom row which shows total free cash flow. Free cash flow is money that is left over after all capital expenditure spending is completed. That is the money that is available to pay dividends, repurchase shares or reduce debt. From 2013 to 2015 with $90 per barrel oil Shell generated on average $12 billion of free cash flow per year. For 2019 to 2021 at $60 per barrel oil Shell is projecting that its free cash flow generation is going to increase to $20 to $30 billion per year. Just as Rocky became a different fighter for his second bout against Clubber Lang–it seems that Shell is becoming a very different company to combat lower oil prices. Based on Shell’s numbers the current dividend certainly appears to be very safe going forward. Given the radical transformation that the company is projecting you can see why the market is skeptical. Why should we believe that it can do so much at $60 oil when it did so little at $90? How Exactly Is This Possible? 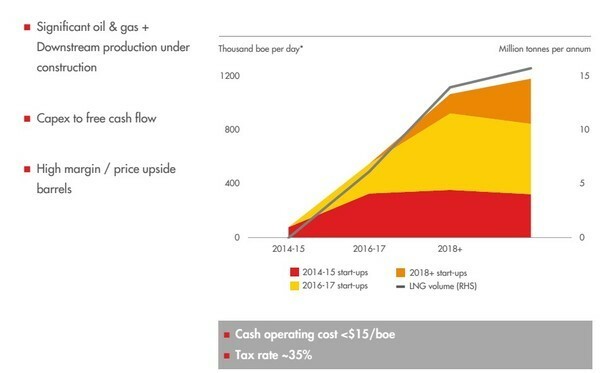 The increase in free cash flow that Shell lays out–at a much lower oil price–is impressive……kind of. If I was a shareholder and saw this plan my first question would be–how hard the company was really trying before? Isn’t the idea to always make the most money possible for shareholders? Those would be fair questions. What I’m looking for are the Clubber Lang’s of the oil and gas business. Hungry, motivated entrepreneurs. At the big integrated oil companies like Shell that isn’t what you are going to get. These companies are run by career employees, managers who are there to put in their time and cash a nice fat paycheck. That is why when forced to do it, the management of Shell is able to find fat to be cut. It is because it was there all along. We can see that as we walk through how the company is going to generate more free cash flow at $60 oil than it did at $90 oil. Step one is to trim some of that fat by reducing operating costs. 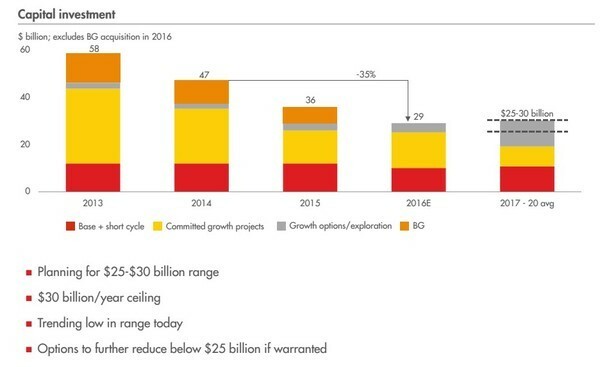 Shell had an operating cost run-rate of $50 billion per year in 2013/2014. By the end of this year Shell will have already shaved $10 billion from that. That is a HUGE amount of money. These reductions would be in the obvious places. Eliminate expensive third party contractors and getting salaried employees to pick up those tasks. Take a hard look at staffing levels. Get each line manager to finally take a look at each and every cost that is under his control. There will be a lot of low hanging fruit here to be picked. Even bigger cash savings will come from a MASSIVE reduction to capital spending. From spending nearly $60 billion in 2013 Shell plans to keep capital expenditures within a $25 billion to $30 billion range going forward. That is $30 billion per year of cash that isn’t going out the door and it doesn’t seem to have any impact on Shell’s future production plans. Again it begs asking…..wasn’t the company trying before??? Service costs that have plummeted across the industry will obviously play a big part here. So will the fact that reduced revenues now has Shell and everyone else really holding line managers accountable for what they are spending. Spending can be reduced becase the spending that was done from 2013-2015 is related to long lead time projects. There was no return on this money being spent initially as those projects were completed. That is now changing with these investments showing up with a wave of production, that will only benefit future years–not the years in which they were spent. 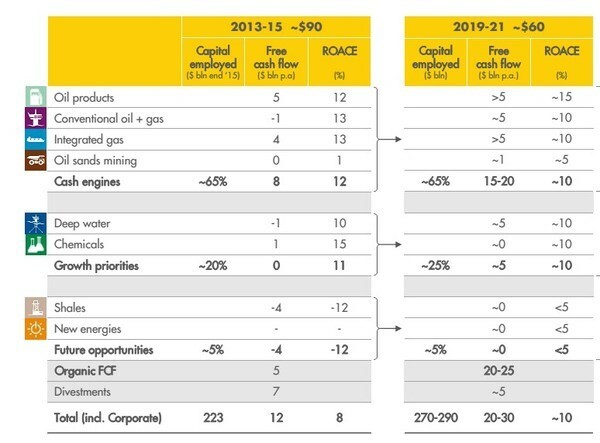 These big free cash flow improvements do leave me shaking my head about Shell’s performance when oil prices were much higher. However, as investors we need to look forward and not backwards. Today what that forward view (according to the company) provides is a 6.9% dividend that based on the company’s projections looks very sustainable. But hold on a minute…have I been fair or am I looking through rose-coloured glasses? In my next article I take a look at Shell through the eyes of a very accomplished investor. His view is much less favorable. EDITORS NOTE: There is one over-riding theme for energy investors in 2017–that the Permian Basin will get drilled like Swiss Cheese. Every service company in the Permian will be 100% capacity, with pricing power. I can show you the company which will have the biggest jump in cash flow of all the Permian service players–RIGHT HERE.